As Jean-Michel Comme, the vineyard manager and winemaker for Chateau Pontet-Canet, walks us through the winery a field of pale yellow concrete amphora come into view. They are larger than a person, with their widest part uppermost – inverted eggs – and he explains that they are used solely for ageing some of the wines. But what is special about these is not only that that they have been designed by Jean-Michel himself, but that the concrete mix they are made from includes minerals from different parts of the vineyard, each one created to have specific impacts on the ageing processes of the wines. Jean-Michel goes on to explain that every aspect of work at Pontet-Canet is focused on the idea of achieving balance and harmony – in the wines, the vineyard, the business, the people, the wider landscape, and the wider world – and these amphora are just a single step in this process. The framework of thought that guides this approach is based on the 4 elements – Earth, Air, Water and Fire – and the work focuses on how to achieve a balance between them. Drawing on biodynamic theory, this framework allows all aspects of life to be drawn together into a single dynamic diagram. Weather, soil, animals, vine varieties, indigenous plants, time of year, etc. all shift the balance in particular directions, and then other more conscious inputs – herbal sprays, essential oils, vineyard activities, etc. – can be used to rebalance the system if one or more elements become excessive. In many ways this is similar to traditional Chinese Medicine which focuses on balancing all aspects of life to achieve health. Jean-Michel gave an interesting example of one way this is applied in the vineyard. Whenever he walks through the vines he notes which wildflowers are growing in different places. Each of these flowers is more associated with a specific element and their presence indicates that there is a deficit or abundance in one of the four elements. It is then his decision as to whether a change needs to be made, perhaps through a spray, compost or tea. The main minerals in the terroir are also connected with different elements, some more with the Earth element and some more with the Air element. Wine from grapes grown in different soils can therefore be understood to have different qualities partly based on this emphasis. So in the winery the concrete amphora used for ageing have been designed to contain different minerals, each of which have been chosen to enable a further rebalancing of the wine. In this way a young wine that lacks some elegance could be aged in a specific amphora to enhance the development of this quality over time. This is the opposite of following a predetermined winemaking method and demands a deep level of awareness and sensitivity at all stages of the process. Jean-Michel speaks with a combination of integrity and deep understanding born of years of experience in biodynamic winegrowing. The system of thinking he employs has slowly developed through his life and he is keen to emphasise that it is a journey based on the experience of the individual winegrower in their vineyard. In addition to the elemental understanding there needs to be an intimate connection with place and a respect for all life in the vineyard. It is this humility and respect that shines through when talking to Jean-Michel Comme, and something that we aspire to in our own biodynamic vineyard. 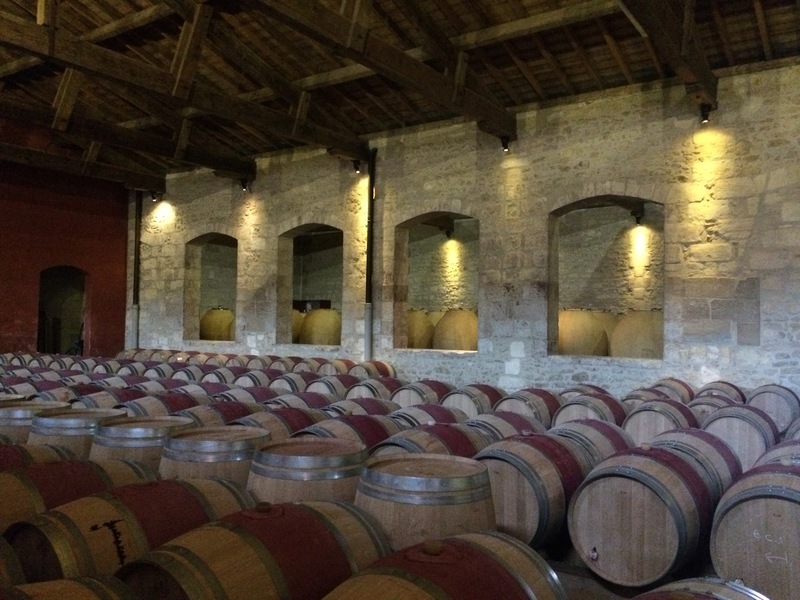 This blog is written with sincere thanks to Jean-Michel Comme of Chateau Pontet-Canet, and Monty Waldin, the biodynamic wine writer, on whose recommendation we contacted Jean-Michel. Chateau Pontet-Canet is sited on the left bank of Bordeaux, on the edge of the town of Pauillac, and has Grand Cru Classe status passed down from Napoleonic times.